Food waste remains a major issue for foodservice operators and one that, if it is managed successfully, can drive the sustainability agenda, reduce costs and improve the bottom line. 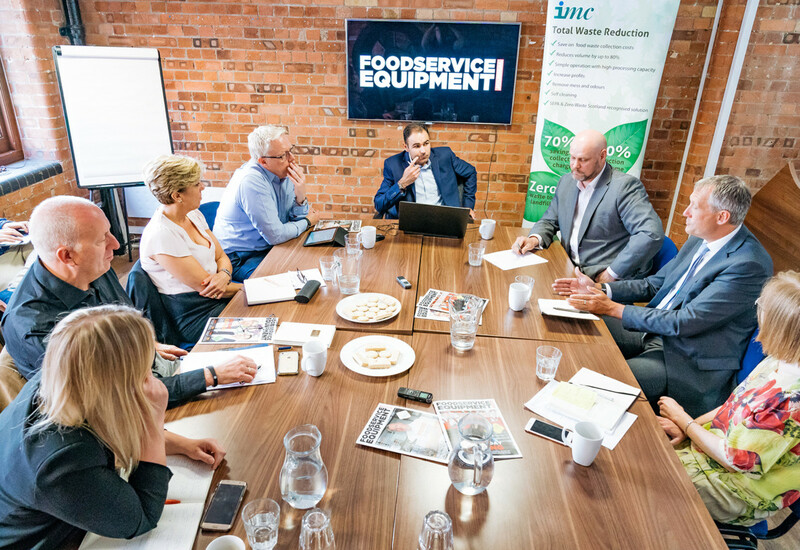 FEJ, in association with waste management equipment specialist IMC, invited some of the UK’s top caterers and hospitality experts to a special editorial roundtable in London to discuss the ways their businesses are addressing food waste and examine the real challenges that the industry faces. It has been said that the ‘true’ cost of food waste to the hospitality and foodservice sector is more than £2.5 billion a year, which on average is one in six meals served. How much of a focus is food waste for your business? Mike Hanson: We launched our own programme after quite a lot of testing at the beginning of 2014. We segregate into plate waste, spoilage waste and production waste and we report it through a proprietary online accounts portal called Evolution. We developed it so that operators cannot close their bookwork until they have entered numbers. That pulls through food and beverage purchase numbers, which allows us to get a food waste percentage, so that everyone can see the costs and relate it to the margin and so on. Clearly we’re a catering company but it is all about reducing and preventing food waste, rather than disposal. 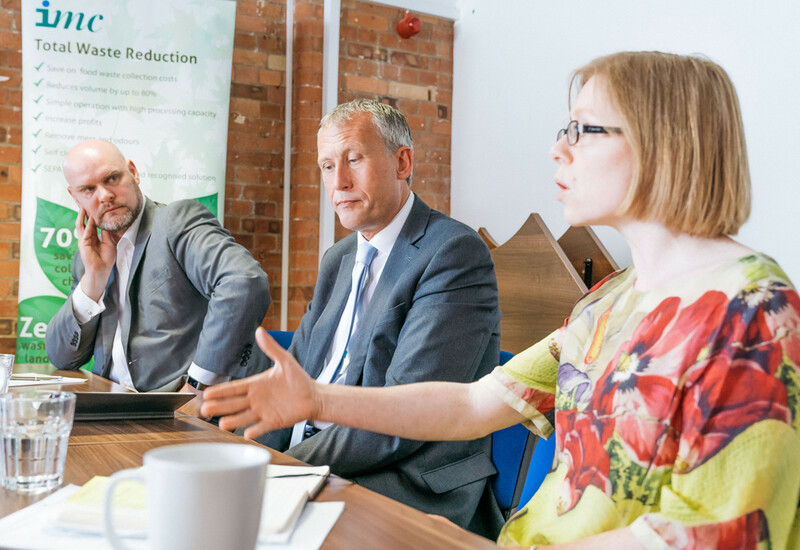 We have saved huge amounts of money from the system and it has helped develop opportunities to talk to clients around the value of energy and disposal costs we have saved them, which is huge. Overall we have saved around 40% in the time since we launched it. 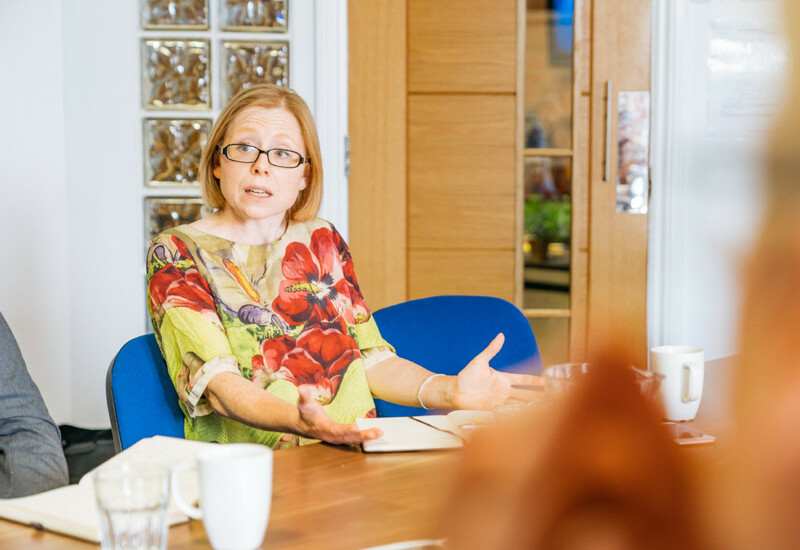 Sharon Linney: We have gone through a significant period of change at CH&Co, so it is fair to say that we are amalgamating systems and putting them into different parts of the business. The focus on sustainability is there and in terms of the management and recording of food waste we are doing it in a number of ways and trialling technology. It is really important for us as a business not to manage waste on its own as a separate entity, but reach as many parts of our business in different ways to make sure that things like ordering and production are done right. Alice Woodwark: If I think about the themes that come through when you are thinking about and working on food waste, data is both important and, to be honest, a luxury that we didn’t have 10 years ago. We use Winnow and we love that system because it gives us very exact data when it is used well and I think all of us now have access to data on food waste that we couldn’t have dreamt of having a decade or so ago. That’s hugely valuable because we are at a turning point. There are clients who are absolutely committed to doing this and there are clients who, at best, see it as a hygiene factor or a cost benefit and aren’t thinking about what you might call the ‘softer side’ — the more human side of it. When you have got data to back up what you are doing, it’s a huge benefit. Mike Hanson says BaxterStorey created its own proprietary system to track and report food waste across its business. 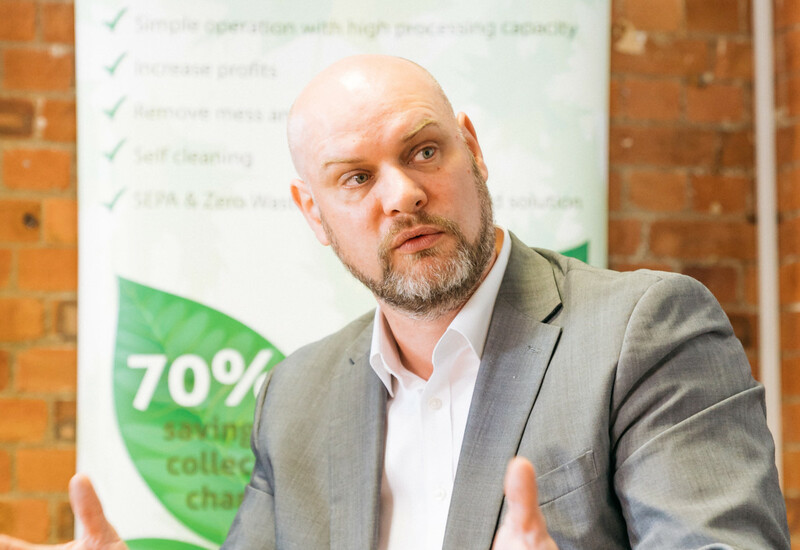 Michael Taylor: We have done loads of trials with companies and people very much got into backholding food waste or residues from various different places and then sorting it. But we are doing a lot of trials now where we are actually front-sorting, so we don’t deliver that food waste, we keep packaging and such things to prevent the production of it in the first place and then it is all in a central distribution place, which makes it a lot easier to deal with. Also, it’s technology, it’s data, it is using IT systems to actually allow a farmer in a field to say, “I have got two tonnes of spuds that nobody wants” and here’s a portal that tells everybody about it so whoever wants them can have them. What’s the chefs’ view on this? Andrew Bennett: What you are dealing with is actually unbelievable and remarkable, but ultimately it comes down to that creative point and the chef who is passionate about seasonality. I was at The Restaurant Congress a couple of days ago and there was a restaurant there that ties themselves in with nurseries. So if there are seven kilos of strawberries done a day, they agree to take all of that product and re-use it. This restaurant was using every single bit of waste and just created a scratch menu, it was incredible. So it does come down to the guy in the kitchen being passionate about wanting to control his waste. It is all about education and using seasonality and monitoring all the waste. It is common sense stuff really. Michael Taylor: It is not just the passion of the chef, it is the passion of the people who decide to go to the restaurant because it positions itself as a sustainable company that wants to do the right thing. So even chefs are being pushed to do these things because it makes them a better chef. Andrew Bennett: Yes, it is getting that mindset into your team — “hang on a minute, what are you going to do with that, you can’t throw that away, let’s find a way”. It takes time. Michael Taylor has seen an increase in firms front-sorting food waste. UKHospitality represents some 700 companies responsible for 65,000 sites. Is food waste a topic that your members are talking about? 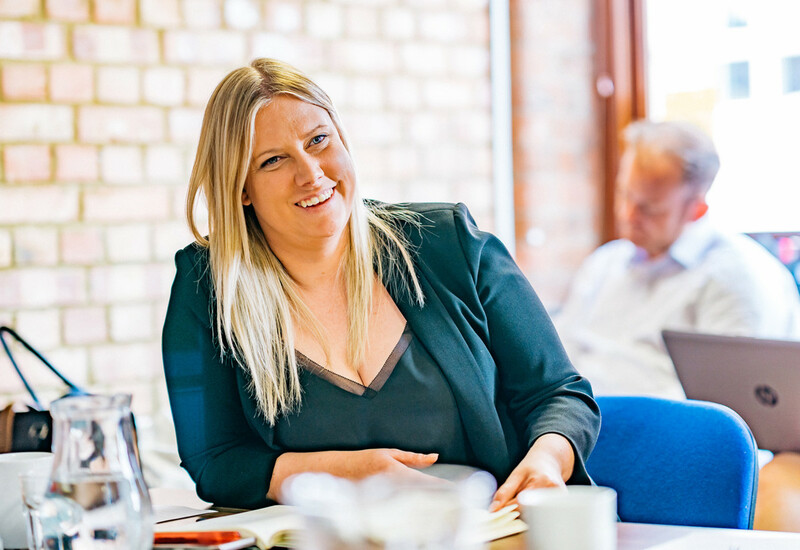 Pernille Thomsen: It is definitely rising up the agenda from the big companies right down to the small ones, but from a body that represents such a vast variety of businesses, a one-size-fits-all approach doesn’t suit everyone. Sustainability might be different for a restaurant in The Shard versus a country pub that has their suppliers right next to them in the right area, and you’ve also got to take space and resource availability into consideration. We need to figure out a way, or lots of different solutions, about what suits these individual businesses. Data is key to helping businesses develop a formula for how they can best manage their waste and, as crass as it sounds, so is cost. The less you waste, the less money you waste and the more profit you have. A lot of it is plate waste and that comes from public attitudes in terms of what they expect to be served. If you reduce the size of a meal, customers might think they have been short-changed, which might not be the case because they might not have consumed it anyway, but that is a challenge that needs to be addressed. Mike Hanson: I agree, but I think that the chefs and the service team have a big part to play in that. From a plate waste point of view, a lot of it is down to portion control. I remember when I was at catering college and the lecturer used to say, “we are feeding, not fattening.” And, you’re absolutely right, it is about perceived value. A classic example in the foodservice business is where a chef makes a tray of 24 lasagne, puts it out the front and the FSA gets 18 portions out of it. So your margin’s gone and the portion is too big so the customer ends up leaving it. That is really common, but I think it goes all the way back to training and making sure that it’s part of it. So I think that while you are absolutely right, the consumer does have a role to play in this, the catering team, chefs and servers definitely do as well. Michael Taylor: The reverse of that is that we as a country don’t really promote doggy bags and such things, or taking things home, whereas if you go to most places around the world they would expect you to take it home with you or re-use it. We don’t really promote it — nobody really asks but we don’t push the “would you like to take that home with you?” question. 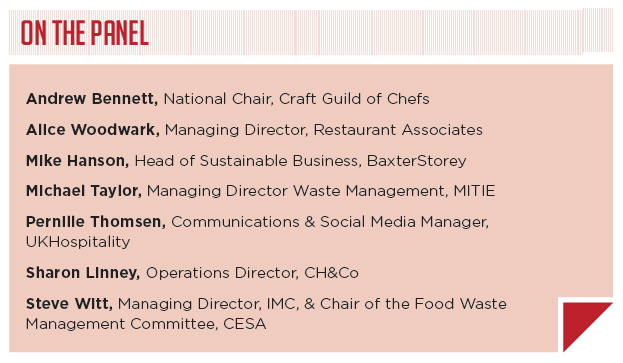 Panelists agreed that operators need to have a firm understanding of how much food waste they generate before looking at the most effective way of managing it. Steve Witt: If you look at statistics, you can waste anywhere between 125 and 250 grams per person, depending which restaurant you attend. 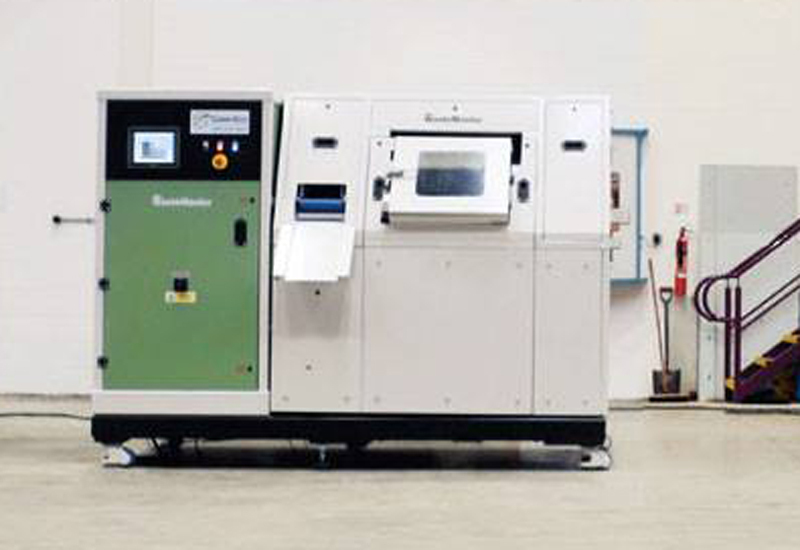 I am really quite impressed with all the initiatives that you do, but as a manufacturer I never see that because we are always the last stop — we are always providing the equipment that deals with what’s left over. If you look at the WRAP pie chart of what’s wasted in prep, spoilage and plate waste then I always say that we are there to target that plated waste. 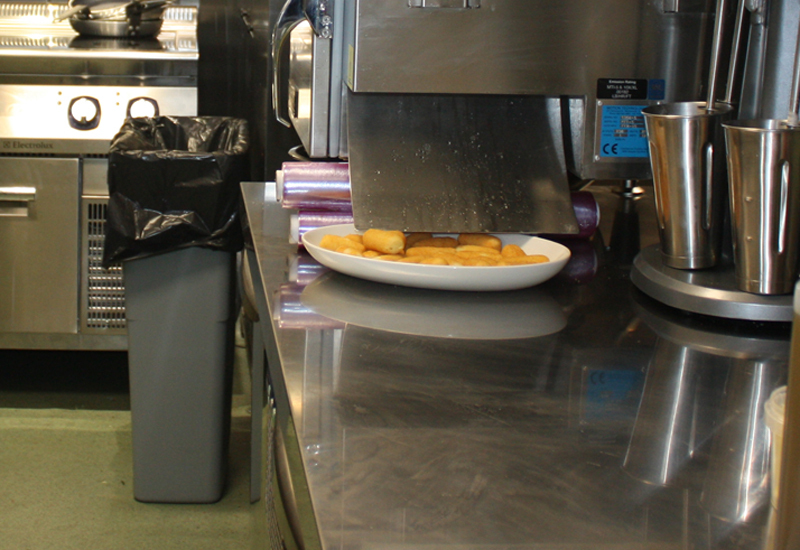 But the funniest thing that surprises most customers when we go in and do a food waste audit is that more often than not, no matter the size of our equipment that we put in, there is still more waste than we can handle. So part and parcel of our audit trail is to try and get them to reduce that waste to a manageable chunk that we can actually deal with, but I am always very aware that we are at the wrong end of the problem-solving chain. It needs to be, I guess, from the operator point of view something that is challenged at chef level. Mike Hanson: The success of it for us has been the fact that it isn’t mandatory. They are not being told to do it, but they are given all the reasons why they should do it. And why wouldn’t you do it when it is going to do all of this for you? The process of empowerment and training has worked. 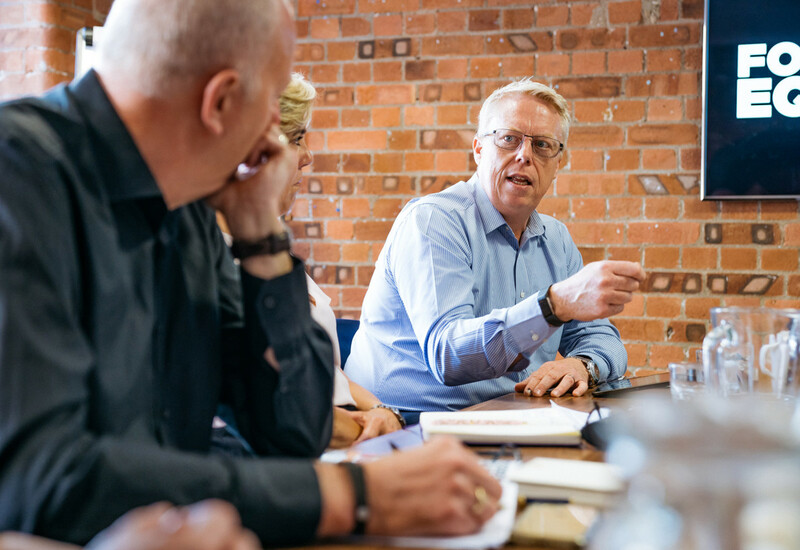 When we launched the project originally, people thought it was going to be a lot more work but they have turned around and said, “actually we have all got into it and it has increased our sales and our margin”. 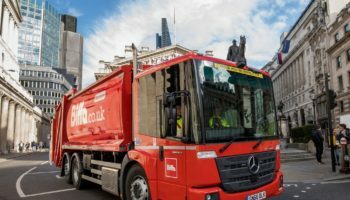 It increased the sales because the site doing the test had struggled to achieve their margin and suddenly they were because they weren’t throwing away quite so much food waste. That meant they could give samples to customers and use maybe a better cut or a different brand and it drove their sales. And that has snowballed. It has also been instilled through the leadership team, particularly from a chef point of view, because clearly the chefs are key to this. Our Chef Academy and the whole development team own it and they live and breathe it. Sharon Linney: I agree that the chefs are at the heart of this, but I think it is also about changing the noise about sustainability and food waste. The size of a plate now in a restaurant is so much bigger than it was 20 years ago — why are we encouraging people to take larger portions? If I think of one of my largest contracts in the City, which is a massively subsidised restaurant, I was horrified at the amount of food people take and the volume of plate waste going back into the dishwash area. It is why it is so important to keep the message moving, work together as an industry and using people that have voices within government. Are we talking about a waste levy for customers like the sugar tax levy? Is a levy the answer? It is about educating, developing our people and making sure our message really is on point. Pernille Thomsen: I think it is important, like Mike was saying, that things are voluntary because when it is voluntary you can implement them in ways that work for businesses themselves, whereas if we had governments forcing a one-size-fits-all levy it wouldn’t work for all businesses and a lot of the time it would cause them to waste money and not actually achieve the goal of minimising waste. I think industry can help itself and the government needs to support rather than heavy-handedly putting on enforcements. Give incentives or motives to businesses to be able to put the right resources or the right waste management systems in place. Steve Witt believes education and training is critical to improving the way food waste is addressed. Alice Woodwark: I think we need to be careful about this balance between voluntary and compulsory and incentives and costs. If you look at what the British regions have done on macerators and anaerobic digestion, Ireland and Scotland have much stronger rules in place than Wales and England. 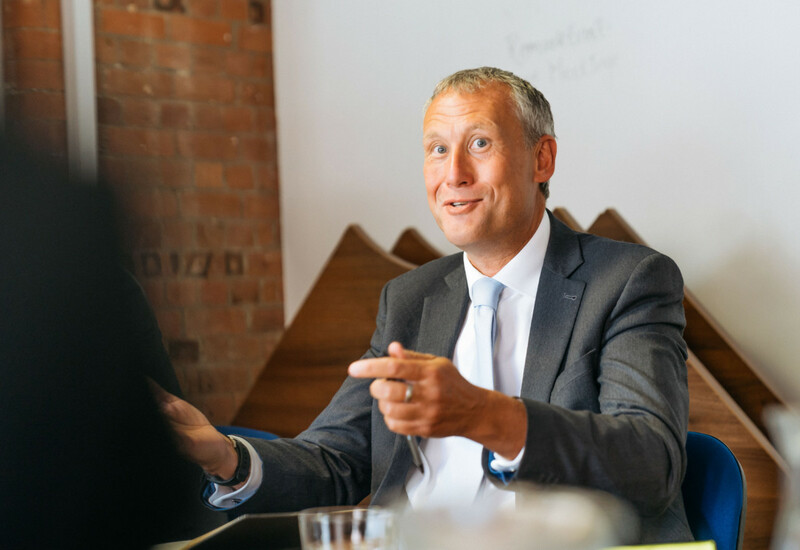 If I look at the business that we have, for example, in Scotland versus what we have in London, the difference in rules on macerators has forced both us and our clients, I believe, to take a more responsible attitude to what we do. At some point, as a society, we do need to make ratchet movements forward in terms of what we think is acceptable. I think there are a lot of people who are working 200 yards from here in well-paid, white collar jobs who would be quite shocked if they knew how the waste from their site is being disposed of and yet it is all completely within what is legislatively allowed. Personally I would love to have the Scottish rules across the UK because I think they are right. I think anaerobic digestion is an incredibly important part of what we are doing and it doesn’t happen in a lot of sites in England because we don’t need to. I take your point and I think incentives are wonderful things, but you know what, I think we have reached the stage as a society where principles would suggest that over time we have to make decisions. Mike Hanson: I totally agree and I think there is a need for a blend of the two. If you take the carrier bag tax, for example, there has been an 82% reduction in carrier bags. There is no way we would have reduced that number of carrier bags if that tax hadn’t been brought in. Alice Woodwark: I think the folks in this room have a real opportunity to do something on this because we are talking about, at one end of the spectrum, the chef, one chef, a person in a kitchen who we are trying to get excited about this. And at the other end of the spectrum is UK government and we can say as much as we like about what we would like them to do or not like them to do, but probably we are not going to single-handedly guide them to a solution. But I think everybody here has sufficient scale and standing to do something that does make a statement about what we do. For this year we have taken macerators out across our business and it doesn’t matter where you are. Because we have done it in Scotland, we have seen the sense of it, it is not choice, it is not whether you think it is the right thing to do or not — it’s not the right thing to do. Data capture is making it easier to manage food waste, suggests Alice Woodwark. Steve Witt: Taking on your point about taking macerators out, you don’t need to, you can bolt on a piece of equipment that basically spin dries and reduces the volume of food waste and provides an adequate food stock for the AD plants. That’s what we have worked with the Scottish government to do. As a business I would be curious to know how much you’ve spent on macerators over the years because IMC has been building those since 1956! Alice Woodwark: I think it is fixing the macerators that has taken the money! Steve Witt: I will go with that for the simple basis I’ve seen what people put them down! It’s quite interesting! But, again, it is an education — it is us as a manufacturer engaging with you and your industries to know what you need from us. We can design and build, within reason, anything to handle food waste. It’s nice to know that at the front end, within that kitchen environment, our equipment can potentially offer a solution to reduce that volume to a manageable degree. 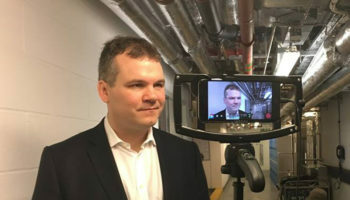 Michael Taylor: I think Scotland has helped us if I am perfectly honest because we produce a lot of data and information for our clients, and it allows us to create a lot of league tables to tell them where they are against their peers. Scotland was suddenly ahead of the rest of the UK because they were recycling all this stuff that used to go down the macerator and such things, collecting the cooking oil — they weren’t paying for it — and it was being turned into biofuel. So we were almost saying, “look what people in Scotland are doing, why don’t you do it? There is no legislation to stop you doing it, it is available”. So actually people just followed like sheep because nobody wants to be at the bottom and everybody wants to be at the top. You use that competitive nature to actually get the results you want. And everybody wants to know where they stand. Sharon Linney says the industry needs to decide if a waste levy is the answer. It’s clear that food waste management is a key part of the business strategy in your organisations. But would you say that when it comes to the foodservice industry as a whole, you’re currently in the minority? Mike Hanson: I think probably at the moment, yes, but it is developing. I do think we have reached a level — and obviously the Hospitality and Food Service Agreement, The Courtauld Commitment 2025 have taken it so far and there are more systems in place — but I do think there needs to be a bigger drive from centre as to the direction. Consumers, foodservice operators, manufacturers and waste management companies also need to be more joined up, but the other key to this is the facilities managers, because they are the people who actually make the decisions on where the waste goes and what the waste streams are. Often it is a case of ‘out of sight, out of mind’; as long as it leaves their site, they don’t care what happens to it, but it needs to be a conscious decision, so organisations such as BIFM [the professional body for facilities management] need to step up big time. Steve Witt: I am quite impressed with some of the initiatives that your companies are working on. I actually would like you guys to shout about it a bit more — some more case studies — and drag the independents and the rest of the people that I see on a daily basis that don’t have that mindset, that don’t have that approach, and which may not have the resources and don’t know who to go to for that education and training. 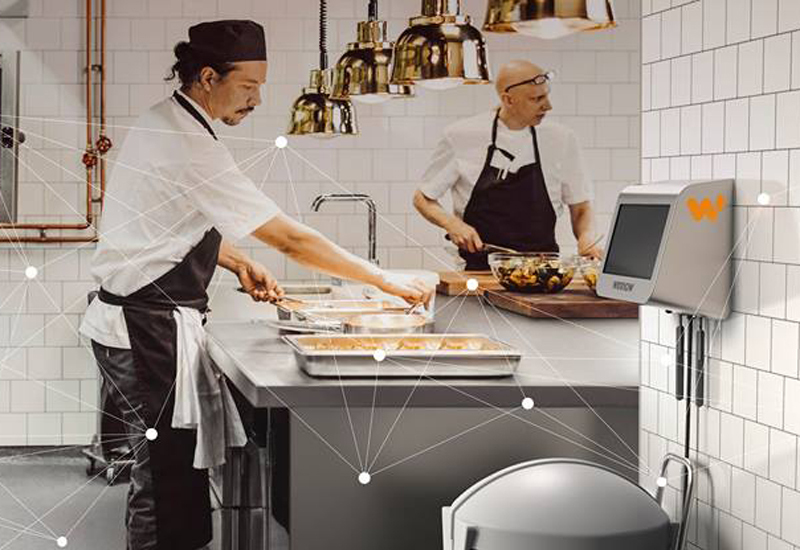 Pernille Thomsen says space and resources will determine how operators manage food waste. 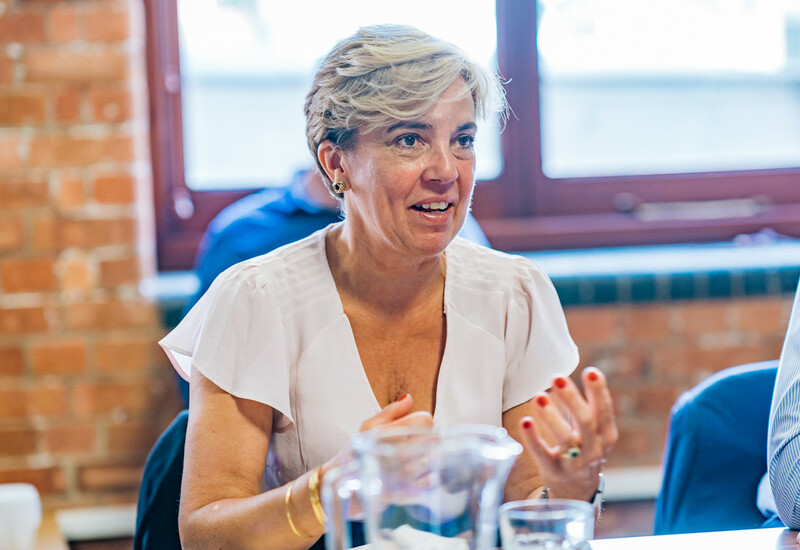 Pernille Thomsen: Well, that’s one of the reasons why we piloted WRAP’s ‘Your Business Is Food’ resources to see how they would work in practice for smaller businesses and it was a resounding success, everyone felt that they got something out of it and managed to reduce their waste. We were one of the signatories to The Courtauld Commitment 2025, so we will be looking at ways of how we can do that and that is an initiative that is definitely a good idea to consider. I think consulting with everyone, including yourselves, on the things that work for you and how we can share that can only be beneficial.